With low heels and toe and heel caps, and of course the classic decorative perforations for which they are perhaps best known, men’s brogues are a timeless style that can be worn almost anywhere. 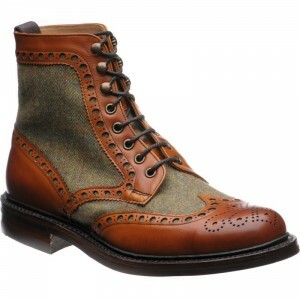 There are several versions of the history of this popular footwear style, but these hard-wearing shoes definitely started out in Scotland as outdoor wear in the 18th century, and indeed were considered country or outdoor shoes until the 1920s. Brogues were originally made from untanned animal hide, and the distinctive punched holes designed to let water run out when hiking over damp and boggy terrain. 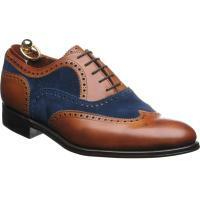 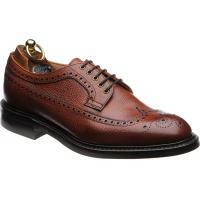 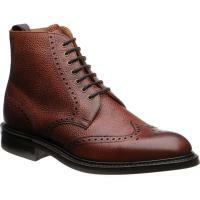 In terms of colour, men’s brown brogues are incredibly versatile. While the shade was initially frowned on for formal or evening wear (‘no brown in town’), that’s clearly no longer the case. 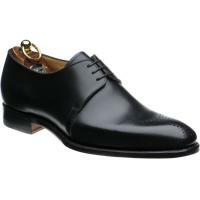 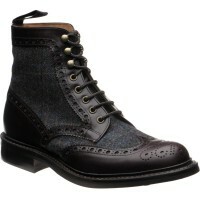 You may not want to wear brown brogues with black tie, but you could certainly wear them for almost any other occasion. The colour goes with just about every other shade imaginable, apart from perhaps black, and with every style of trouser from jeans to chinos and even suits. The collection of brown brogues at Herring Shoes has been carefully selected to represent outstanding quality footwear from leading brands, for shoes you can rely on for years to come.